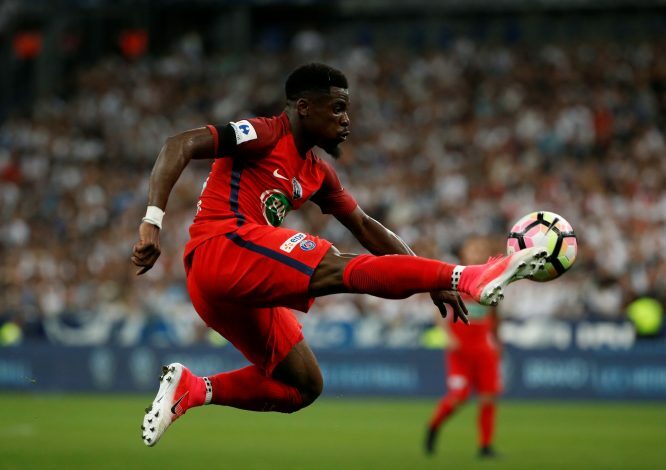 Serge Aurier has attracted interest from several top clubs in Europe this summer after it became clear that he had no future at Paris-Saint Germain. A number of highly respected tabloids suggested that he was edging closer to a move to the Premier League, and if recent rumors are anything to go by, they were spot on. According to French news outlet L’Equipe, the defender has agreed personal terms with Tottenham Hotspur, and is set to be manager Mauricio Pochettino’s first signing this summer. Despite these reports, the club still faces stiff competition from Inter Milan and Juventus, who are both keen on bringing the Ivorian to the Serie A. Despite this summer transfer window being widely acknowledged as the most ridiculous one ever in terms of players making surprise moves and the unthinkable prices being paid for them, Spurs have remained dormant so far. The club has not even signed one player yet, and they now have just fifteen days left to do so before the transfer window finally slams shut.